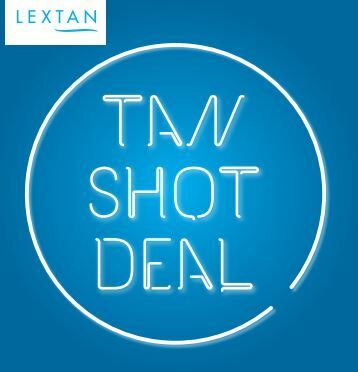 Take advantage of our latest special offer from Wednesday 25th April. Normally £2 each, you can now get 7 for £10 saving £4 or 24 for £30 saving a massive £18! 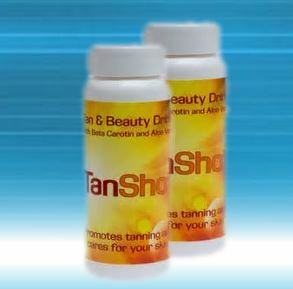 TanShot is a vitamin enriched tanning drink that promotes tanning and cares for your skin. It contains the skin nourishing ingredients of Aloe Vera Extract, Vitamin A, Vitamin C, Vitamin E and Beta‐Carotine. These ingredients help promote better tanning results by optimising the essential vitamins and minerals your body needs during the tanning process. This great deal is only available for a limited time. Enjoy!